The JEP1120 features a traditional 3+1 valve configuration with compensating system. The hand crafted 12.2" yellow brass bell produces a warm, resonant tone with great clarity and focus. JEP1120 is suitable for all performance applications. 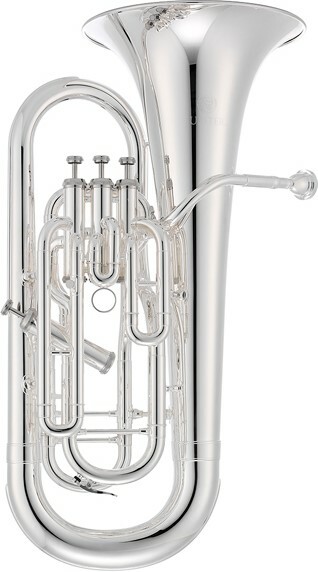 The JEP1000S 4-Valve silver-plated Euphonium is a popular instrument among students and educators alike. 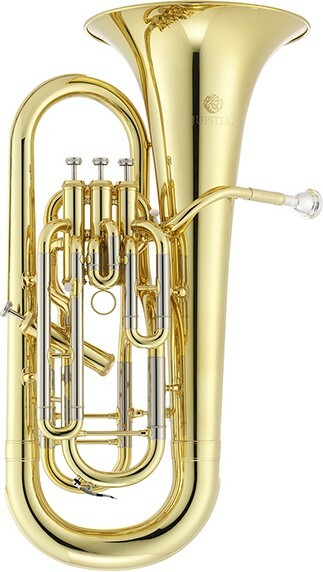 It features great projection but is also easy to control making it a wonderful option for new euphonium players. It has a .570" bore and an 11"?? bell. Its removable valve section is made up of 4 top action valves. 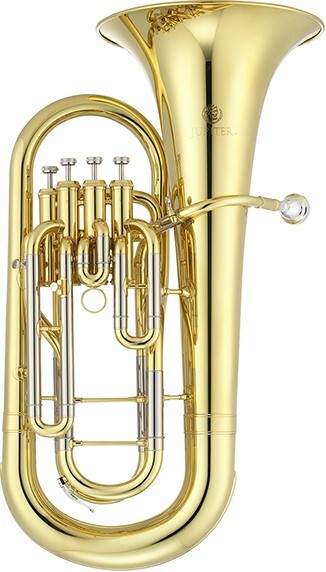 The JEP1020 features a traditional 3+1 valve design with 3 top action valves and an angled left hand 4th valve to eliminate the use of the right hand pinky finger. This design is very comfortable to hold and play. 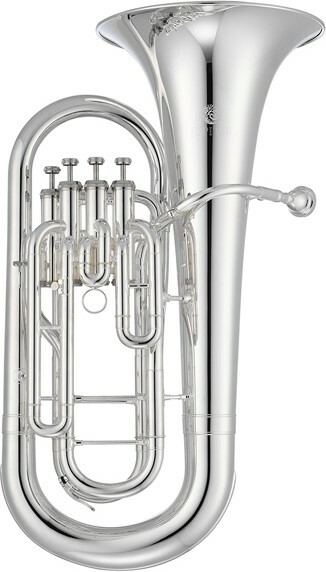 The .570 inch bore offers a warm, rich euphonium sound perfect for band and solo work. 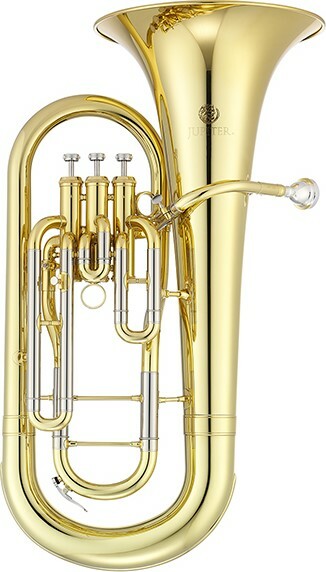 The Jupiter JEP700 3-Valve Euphonium has a warm, deep sound but it is also built to be durable. It features a .570"?? bore with an 11"?? yellow brass upright bell. Its 3 stainless steel valves are part of a removable valve section for easy care and maintenance. 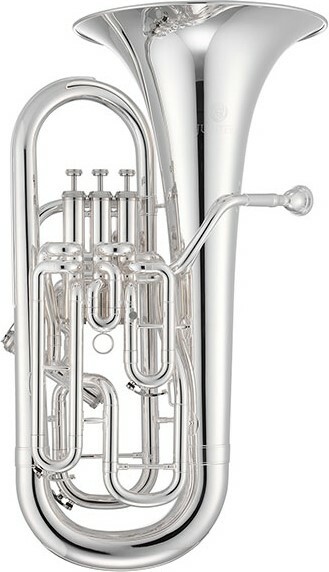 The Jupiter JEP700S silver-plated 3-Valve Euphonium has a warm, deep sound but it is also built to be durable. It features a .570"?? bore with an 11"?? yellow brass upright bell. Its 3 stainless steel valves are part of a removable valve section for easy care and maintenance. 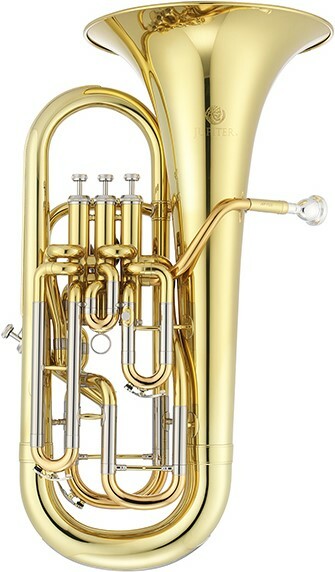 The JEP710 features a lacquered finish, .570-inch bore plus a detachable bell front design and three front action valves that makes this instrument easy to hold and play. 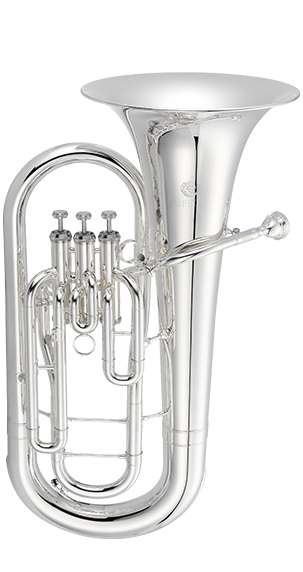 The JEP710S features a silver-plated finish, .570-inch bore plus a detachable bell front design and three front action valves that makes this instrument easy to hold and play.